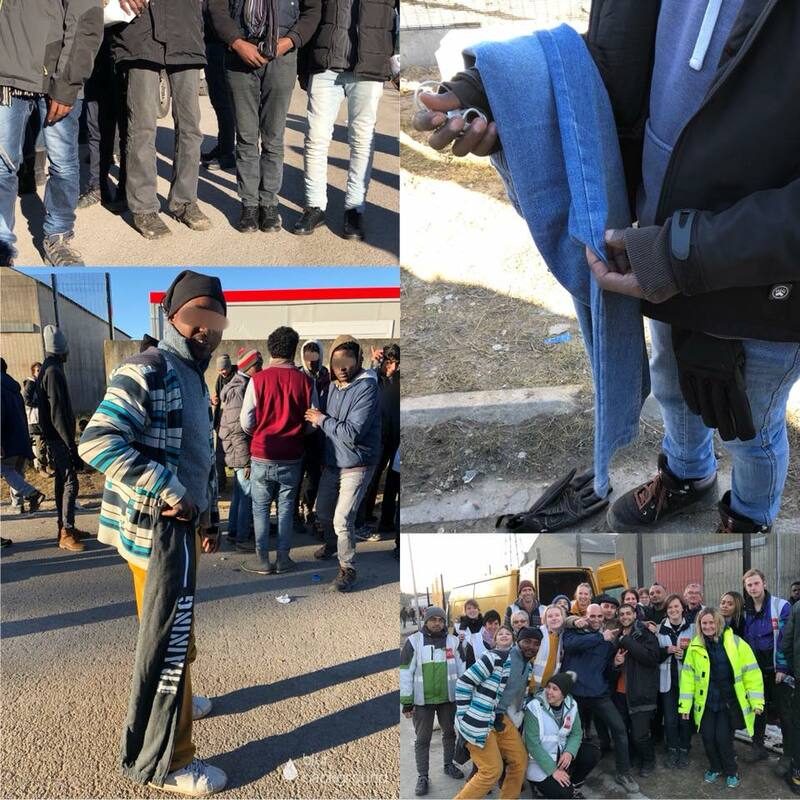 This weekend our fabulous team of volunteers distributed over 400 pairs of jeans and jogging bottoms in the freezing cold in Calais. These are long hard distributions as everyone wants a bit of time and a choice, but ever so important when the refugees so rarely get a chance to change their clothes. Sadly it is not uncommon to meet people who have not changed their trousers for eight or ten weeks, leading to skin infections and scabies. We desperately need many more pairs of jeans and jogging bottoms in small men’s and boys sizes. You can donate at any one of our drop off points, or we buy wholesale for just £5/pair. To help please go to www.care4calais.org/donate.